Kylie: Today, we’re in the company of Dr. Adaobi Udechuku and Dr. Lucinda Smith, co-founders of Glow, a multidisciplinary clinic in Berwick that supports the emotional health and wellbeing of women, infants and families from pre-conception to Kindergarten. Kylie:	We explore how Adaobi and Lucinda launched their business after seeing gaps in caring for women and their families as they transitioned into parenthood, and created a new mode of care that brings together a spectrum of perinatal healthcare providers under one roof in a unique business model. Kylie:	We also explore their perspectives in supporting women move in and out of the workforce during this time, and the issues that clients experience in managing careers and family. Kylie:	Welcome, Adaobi and Lucinda. Thank you so much for taking the time to join us this morning. I’m really looking forward to finding out about the work that you do through Glow Clinic and how that came to be, but before we jump into that, I’d really love to know what you both loved doing as small children and young girls, and how that might have influenced what you do in your business today. Lucinda:	I think as a small child, in probably primary school age child, one of the things I always did was read voraciously almost any kind of chance I could get, and I think that has stayed with me and probably influenced me in a couple of ways. Lucinda:	One being my kind of thirst for knowledge, so just reading widely and loving learning new things. It also, when I reflect on the types of books I’ve liked, particularly probably as I’ve became slightly older, child and teenager is that they’ve all been books about people and about people in relationships with other people and what motivates people to act in certain ways. Lucinda:	I think that trying to understand and get insights into people has really influenced not just the type of medicine I’ve done, in choosing psychiatry, but the type of psychiatry I’ve done, in choosing something that is very relational. My approach to it is about understanding people, so I think that’s really influenced the type of work that I’m doing today. Kylie:	Yeah, fantastic. And Adaobi, did you have some insights as to maybe what you loved doing as a child? Adaobi:	Yeah, I think, as a child, I’m one of five, and I had four brothers at the side of me. I think, as a child, what I most liked doing was actually spending time with my brothers and with the family, and that’s continued in our family, where I guess being the only girl probably has done it. Our parents have passed and I find that I’m the person that the family comes to, and we all sort of get together, most recently over Christmas, we were together as a family, so that’s my four brothers plus their children and their wives, so a very large collective. Adaobi:	So, I think families have always been incredibly important to me, maintaining those family relationships. And I suppose that has translated into me as an adult through my family, but also, I think, in my professional and clinical work, really looking at the importance of family as the basis of individuals’ outlook on life and enjoyment and capacity to tolerate some of the difficulties of life. Adaobi:	And so, wanting to sort of maintain others’ family connections, improve, if possible, and I guess, a perinatal psychiatrist, really looking at couples as they start their own family, and the importance of them having a solid base so they can translate that to their children and supporting them to do that. I guess that’s where the connection comes from. Kylie:	Yeah. Amazing. One of the things that we ask all our guests is to give us an insight into some of the things that they believe in, because it’s often when we actually declare the things that we believe in that we can relate to people more quickly, I guess, so I would love to invite you both to show the listeners three things that you believe in and why. Lucinda, did you want to have a first crack at that? Lucinda:	Sure. It’s perhaps a little hard to try and narrow it down to three things when it’s such a broad question that I would say I believe in kindness and always trying to be kind to everyone, because I am a firm believer that everyone is always struggling with something, and there’s a number of, I think, influential people who’ve worded that a lot better than I have. Lucinda:	I also believe that all people are born, I think, equal and deserve to be treated with the same respect and compassion. They might be fairly similar things. And thirdly, this is probably a little more business related in terms of the work we do, but I firmly believe that infants’ mental health matters, because they’re the future in our local communities and essentially our world community. Kylie:	Thank you for that. Adaobi? Adaobi:	I agree with Lucy that it’s hard to narrow it down to three, so I believe in fairness, in terms of social justice and fairness and fairness in terms of between different people, fairness in terms of clinical relationships. I do believe in fairness. I think that it’s important that we should approach the world to create that sense of fairness for everybody. Adaobi:	I certainly believe in the importance of relationships and maintaining relationships, since, again, it’s about what I can do to strengthen, maintain relationships between mothers and their infants, fathers and their infants, and whole families, so I believe in the strength of relationships. Adaobi:	And I think I also, slightly differently, believe in the power of connectedness. What I think is, as the world has become more connected, so I can see what someone’s doing over in Iceland, perhaps, and how they live their lives, I think that’s allowing people to actually sort of recognise that we’re all actually predominantly quite similar, and be less afraid through the Internet, of knowing about other people, and I feel that the world actually, despite all the difficulties that we have, it’s actually becoming a fairer place through this connectedness, which I think is very important. Kylie:	I have noticed that, on your website, which is glowclinic.com.au, on your About page, you do actually have belief statements. You have three belief statements on your website, which is wonderful, and actually, in my work, as a digital strategist, what I recommend that people do on their About Us page to help people understand the philosophy of where you come from. So, it’s a beautiful way to see that come to life, and very consistent with the things that you obviously talked about. Kylie:	I’d love to actually explore, now, how Glow Clinic came to be. You’ve co-founded the business together. I’d love to get a bit of a history as to, perhaps, how you went from individuals working in the field to perhaps come together to form the clinic or what the story was in coming together. 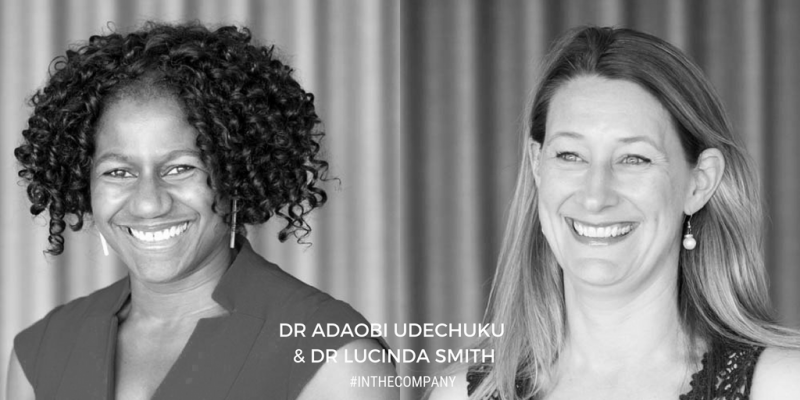 Adaobi:	So, Lucinda and I, as you know, are perinatal psychiatrists, and we have actually worked together, it’s actually a total of 11 years in another organisation, another sort of clinic. We did in the Berwick area, and I think it was three, certainly for mental health, I think it was working with another organisation where we were delivering a service that’s been developed by others, by a committee, by a management structure, and also there’s some constraints in terms of that organisation’s beliefs, and that worked for what we were providing. Adaobi:	However, in the Berwick area, there’s also a group of people who couldn’t necessarily easily access that service, and actually paradoxical they were the people who could afford to access services, because our service was a low cost service. And so, in a way, those people who were able to afford a service were actually disadvantaged. Adaobi:	And so, it was actually looking at that and thinking, “Well, there is actually a unmet need, and also an opportunity to perhaps create a service that’s more about what we would like to do, what our beliefs are and how we’d like to sort of approach things. Adaobi:	So, I think that’s, certainly in terms of looking over at Lucinda at one point in time and saying, “How do you feel about private practise? Would you like to go into it together?” That was part of the thinking for me. It was to do something different, do something that actually had our stamp in it and stood with our beliefs about the infant parents being important, mothers and fathers, importance of wellness as well as mental health. Adaobi:	So, I think that’s kind of what drives me, and I can still kind of remember the conversation, where I looked over at Lucy, and she said, “I have been thinking about it. What are you thinking?” And we sort of moved on from there. Kylie:	It’s a big leap to go into your own practice. How important was it to actually bring that vision to life for you both? Lucinda:	It certainly is a big leap, and I also remember very clearly the room and even the chair I was sitting in when Adaobi and I had that first conversation. Fair to say from having that first conversation to opening the doors of Glow was a good couple of years, so there was lot of time and effort put into the planning, the developing, the thinking, and at a time when we were both also busy working elsewhere and busy with families, so it takes, it certainly took time, and I think, in addition to, as Adaobi was saying, I guess the importance of starting, it was really about being able to offer something different. Lucinda:	Not only were there some families who couldn’t access the service we previously worked with, it was really important for us to be able to offer something that was quite different. Kylie:	So, what have been the most valuable business lessons that you’ve learned since you’ve now business owners as well as practitioners? Lucinda:	That’s another tough one, because I think the list is incredibly long, and varied. It’s been such a challenging experience, but one with a lot of personal growth and development, and I would have to say, it’s really probably taught me to be brave in many ways and take on the challenge and not be hindered by something that does seem a little unknown or something that feels like initially it might be outside of your skill set, so being brave and having some faith and trust that the ideas you’ve got are good and that the general intelligence and motivation and determination you have will place you in good stead. Lucinda:	And having some good people around you, so for those areas that you really feel you actually don’t know that much about, tapping into the other resources. Adaobi:	I’m smiling here, on that point because I was thinking of that question beforehand. I mean, Lucy talked about having faith and perhaps tagging on something that you might not have. I distinctly remember when we were trying to work out the size of the half floor that we were going to lease, and breaking it down to how many rooms or how much we could earn per room and whether that was doable. Adaobi:	And I think, in terms of that faith and that leap, I probably am slightly more on the optimistic side and sometimes encouraging Lucinda, but fortunately, I think the world balanced where Lucy also, we often look at her and ask, “Well, how is that actually really going to work?” And so, she can kind of pull me back into reality. Kylie:	So, one of the things I’d like to ask you is also how you take care of your own mental health as business owners. Adaobi:	That’s a really important factor. I mean, clearly, we’re working within the field of mental health, so we’re aware of the importance of mental wellness and well being. And it would be slightly hypocritical for us to be prescribing ways of people maintaining their wellbeing, such as getting sufficient sleep, attention to their diet, making sure that we’re doing things with the mind-body connection, exercise. Adaobi:	And it’s quite rewarding to be able to turn around and say, “That’s actually what we’re all about here, and we look at that before we get to even things like psychological therapy or medication.” So, it would be hypocritical of me to be promoting that in my belief in that if I weren’t to sort of utilise it within my own life. Adaobi:	So, one of the things that I’m actually quite passionate about is the importance of meditation, and I’m a practising meditator. Personally, I might prescribe it to my patients, and also use it in a session, so I think meditation is one of the key things for my own mental health. But also, spending time with family, so being able to remove yourself from work. Ensure you get enough sleep and exercise and attention to your diet. Kylie:	So, do you have any tips of little hacks that you have? Because business owners who may also be parents, it’s a pretty full plate to handle, so do you have any insights? Do you use a meditation app or do you have any special kind of incidental exercise that you manage to find to work into your day? Adaobi:	I think it’s also important to find what kind of works for you. So, try different things. It might be meditation with an app, and I’ll actually mention some. It may be finding an actual class that you go to, where a teacher helps you meditate. I think that’s actually more impactful, or it may be that you can get in exercise, you pop the baby on the pram and go through what you made the commitment to do that pretty much every day unless the weather’s against you. Adaobi:	There are lots of apps now, and actually for perinatal field, it’s fantastic, is a really great app that’s free, linked with the same group, the Smiling Mind group, Mind Bump, and actually, if you download it, it’s sort of cream egg with the blue egg in the middle. I think it’s a fantastic app. It starts from the first day in your first trimester, right through to 36 months of your child’s age, and so, it covers all the stages, with multiple different lengths of meditation. Adaobi:	Plus, they’re all less than 11 minutes, so doable, and I think also kind of tapping into some of the important challenges or ponderings that might occur during pregnancy in terms of getting in touch with your foetus and meditating on that, and then you have a baby. Actually, there’s a meditation where you just really look and pay attention to your baby as a meditation. Adaobi:	And I’ve had couples, actually, who have taken on board meditation and actually come back and say, “Do you know what, Dr. Adaobi, we do it together.” And so, the husband and mother were actually meditating together, so, yeah, I’m a big, big champion of meditation, and in terms of parenting, I think meditation has this beautiful capacity, amongst the other things that it does, but by simply being able to pay attention to the present moment, without judging yourself, so not saying, “I’m hopeless at is because I can’t pay attention to the present moment,” but actually paying attention to the present moment without judgement. Practicing so that you’re good at that. Adaobi:	It seems to create this interesting space between a stimulus, child just threw something at the floor, and your reaction, where you can actually sort of make a decision about how you’re going to react. It’s a very subtle space, but once you get good at it, you start to notice it. Adaobi:	And the other thing that I think’s so key to meditation and mindfulness as a parent is babies and children only know the present moment. That’s where they hang out. They don’t care about what happened, and they’re not too good at sort of planning for the future, so there’s no point telling them Santa Claus comes in three months, because it doesn’t mean anything to them. Adaobi:	So, they’re in the present moment. And if you do not learn how to pay attention to the present moment, you’re actually not with your children. And so, I think that sometimes I prescribe, because people aren’t always good at listening to it, I prescribe sit down on the floor with your child for 10 minutes and play with them, and pay attention, really pay attention to what you’re doing with them in those 10 moments, and that is mindfulness. So, yeah, mindfulness is a big one for me. Kylie:	Yes, and you mentioned something that goes hand in hand with that, which is judgement . And there’s a lot of judgement when it comes to becoming a parent and what a good parent looks like, what a good working parent might look like, or what we expect of ourselves going through that. Kylie:	And often, the self talk that goes along with that is potentially worse than anything anybody else could ever say to us. What insights do you have for helping people deal with the judgement of themselves? Adaobi:	That’s a tough one. I think that, for the most part, people place a lot of expectation on themselves to be good, it’s multiple things, and it starts very early in life. And you see it, particularly say through teenage years where young teenagers are trying to sort of meet the expectations of social media, most of which are filtered and photoshopped in apps to beauty. Adaobi:	And I guess there’s a concept that the people within the perinatal, infant mental health field would know about and it’s this client concept of a good enough parent, and I try to introduce that quite early. And it’s really sort of saying that the child doesn’t need you to be perfect as a parent. In fact, being perfect is to your detriment. Adaobi:	The perfect parent would actually anticipate a child’s needs before they even have them, and so the bottle’s in the mouth before the baby said, “I’m hungry.” The nappy’s changed before they even need to have it changed. And what that creates is an individual that’s never experienced frustration of hunger and need to wait, or something’s uncomfortable and it doesn’t happen. Adaobi:	And by not experiencing frustration, they’re not going to be very functional in the real world, where we have multiple frustrations. And so the beauty of the good enough parent is really that you’re there sufficiently when they need you, consistently, so they know that you will be there, but not before they’ve actually had a downfall or an issue in terms of what they’re experiencing. Adaobi:	And it’s a really wonderful concept, and I think it helps a lot of parents kind of think, “Well, okay. I can be good enough, but some days, it may not be exactly what my child would need immediately, and some days when they have to wait, or some days, we get toast for dinner because that was all I could come up with.” And I think that allows them to then take a step back and not place such an expectation on themselves. Adaobi:	And I think that’s really important in terms of mental health, because you see a lot of parents really giving themselves a hard time around what they’re not able to do for their child, and their desires for their child, and I think it’s a helpful concept to help them sort of give themselves a bit of a break. Advert:	This episode of In the Company is brought to you by Victoria Small Business Festival, happening throughout Victoria during August 2018. 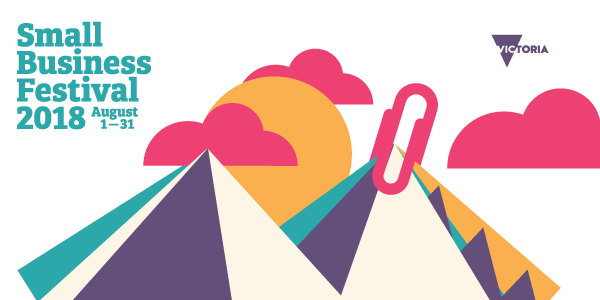 The festival offers a wide range of practical, interactive and innovative events that cover topics such as business planning, marketing, social media, networking and financial management. All events are either low cost or free, and are designed to help small business owners improve their productivity and business manners, while engaging with other like minded businesses and industry experts. For more information, visit festival.business.vic.gov.au. Kylie:	I actually say a very strong paradox in the coaching work I do with business owners, in that being a good enough business owner, because one of the things that they will also do is think that they need to have everything sorted out, and to have everything perfectly lined up either before they start or in actually launching a business, where, in actual fact, it’s the process of actually getting in and doing something, and working towards the best that you can do with what you’ve got at that time. Kylie:	And then reflecting on that and then growing your capacity by doing. So, there’s a lot of self-compassion, I think, for people who are in business, as well as in parenting, and actually, often, I see that a lot of people who talk about their businesses being like their other baby that they have in their life, it sort of needs the same kind of care and tender affection that a child would, so I think that’s a really helpful concept, not just for parents, but for business owners as well. Kylie:	I’m wondering, as business owners, you have created a unique model, as you said, that was really important to you that was the driving force to do something that was outside of the traditional models that you were working. What are some of the unique ways that you service people in this area that are different to what other service providers are doing? Lucinda:	I think it’s around the variety of services that we offer in the one place. So, part of our philosophy that is very much shared between Adaobi and I is that we take a broad perspective of health and wellbeing and mental health, and recognise how intimately and intricately the mind and the body are connected, and one of the things that really wasn’t available, I think, prior to Glow is one setting, so one physical space, with a whole lot of like minded practitioners who believe the same kind of things and are able to provide all of those services, some of which are still seen as perhaps being optional extras, but for us, a really quite essential to the overall wellbeing, so that’s another fact, there’ll be one place that we offer services from perinatal psychiatry, right through to yoga and Pilates to help people optimise their physical health and that mind-body connection. Lucinda:	We offer a variety of services that help promote the physical health, so women’s health, physiotherapy, dietitian and nutrition, some of the things around mindfulness and meditation that Adaobi has mentioned, so having groups and classes that focus on mindfulness, and then also realising that there’s other significant challenges that new families face that really can affect their overall wellbeing and mental health, and that’s things like breastfeeding and feeding difficulties with young babies, sleep and settling difficulties. Lucinda:	So, we either have practitioners who can address those things, or we’ve made links with other services who support those areas. So, I think that real breadth of services in one area and not just sort of offering all of those services, but really feeling connected to all of the different practitioners that everyone shares a very similar philosophy and there’s very easy, I guess, cross communication from the lactation consultant to the psychiatrist, or the physio to the psychologist. Having those relationships between practitioners really extends the benefit to the clients and the families that we see. Kylie:	It sounds like it’s very whole of person centred care, but beyond just that individual person, it’s the support structures and the community around them to support them as individuals. Lucinda:	Absolutely, whole of person. And I think whole of family. So, we have services to support mum, to support dad, to support the children in their own right, and to support the relationship between them. Kylie:	And one of the things that I’ve found that was interesting, I guess, on my own journey into parenthood while I was still working with my first child was just the amount of changes that you go through, even before you’ve had your baby, and so this, in the last few years, I’ve seen this move away, just from postnatal care to this idea of perinatal care, which starts from the time that you either get pregnant or, I guess in some cases, even try to get pregnant. Have you seen that early intervention, acknowledging that, has made a difference? Lucinda:	Yeah, I think that you’ve highlighted a change that has happened over the last few years, and one that we’re very aware of. And I would say we even extend that perinatal definition out to when you first even start thinking about getting pregnant, that you’ve started the psychological journey and process, and something that we do quite different as well at Glow as well, is we do have a very extended definition of perinatal, so seeing people who are even thinking about pregnancy. Lucinda:	A number of other perinatal services would cut off at 12 months or perhaps two years after a baby’s born, whereas we continue our services right through the early parenting years, through to children who are in primary school because we know that the challenges and the difficulties don’t stop after 12 or 24 months, but being able to get in as early as possible really is the ultimate early intervention, and there’s an incredible amount of research coming out in recent years about the benefit of actually intervening during pregnancy, and research showing what’s happening in pregnancy for mum has effects on the baby. Lucinda:	So, for us, it really is about intervening as early as possible to improve mum and dad’s health and well being, knowing that has direct flow on effects to improving their infant’s wellbeing. Kylie:	So, particularly as we are mostly these days still working right up until the time that we have our babies, what are the things that you see are the biggest challenges, and let’s go with what women face, because even though times are changing, it’s predominantly women whose careers are interrupted or effected more greatly at this stage, although there is some change happening here. What do you find are the biggest challenges women face in that transition from a career or it’s about themselves, to thinking, “Now, I’ve got to juggle both parenthood and career”? Adaobi:	I think one of the initial challenges is assumptions and expectations through pregnancy, that “I’m going to take this amount of time off and then this will happen, and then I’ll enter back into my career.” Not necessarily having sufficient information about what being a new parent is, opposed to the idealised parent, and how many stressors there’s going to be, so I think sort of those expectations of themselves, and then perhaps not getting a complete, honest picture. Adaobi:	And then there’s the, as you sort of mentioned, families are now often two working parents, and women rightly so will often want to have their own career path, and so may delay child bearing and appear to, until they’ve sort of established a certain amount of solidness in their career path, and that often means, then, that they’re quite used to, perhaps being in a higher position, management, leadership, talking to adults who do things when you ask them to do it, because they’re important to do so, looking at spreadsheets and all those sorts of things, and timelines. Adaobi:	And so, I think in their capacity to be flexible with this is a new part of my life, and I need to actually think about doing things differently perhaps, not needing to be so scheduled, so perfect, so organised. But being prepared to, again, actually spend some time with your infant and think about what’s important to you. Adaobi:	And your infant actually does have a language and an ability to tell you what they need, and so, if you take the time to focus on them and give yourself the space and have the support so that you can, I think you’re gonna sort of learn their language and you can do much better. So, I guess I’m a very long winded in what I’m saying, but some assumptions that come from your working life that work really well, and you’ve been very good at, which don’t work in your parenting life, and you really need to up skill and relearn. Adaobi:	And when you’re a parent and you’ve got a one week old baby, you’re actually a one week old parent, and so you shouldn’t really expect yourself to be operating at the level of a, I don’t know, 10 year career or so forth, so it’s that dropping your expectations, listening to your baby’s language, and being prepared to do things differently. Kylie:	I love that idea of being a one week old parent. That really reframes it in a realistic way, because it’s a massive learning journey that we wouldn’t expect if we were starting a new job that we would hit the ground running with everything that we needed, so that’s really helpful. Do you come across many people who are in their own business, who are transitioning into parenthood and are juggling that? Because I often find that people who own their own business, it’s very hard for them to either let go of their business and hand it over to somebody else to run for a while, because the boundaries are very blurred, and sometimes, it can be a great thing, because it gets them to actually put in those boundaries that haven’t existed before, but sometimes, it’s a street fight to get them to try and make the business sustainable while they don’t have the capacity to look after it full time. Adaobi:	We do. I mean, we come across women and new parents across a lot of spectrums, and I’m thinking of some particular individuals. I think that there does have to be a reworking because you don’t have the same entitlements. If you’re employed, you know that you have a certain amount of maternity leave and paid leave as well, and then by law, a job to come back to. Adaobi:	And that’s very different for a person in their own business, and depending on the size of business, you may, in fact, be so critical to that business that it’s actually hard for you to take sufficient amount of time, so you do, and I do think the challenges are greater for people in their own business. Adaobi:	Additionally, people who are in their own business, like Lucinda and I sometimes joke, your business is often another baby in a way, and so it might be sensible to sort of think about your spacing with your pregnancies per se, and so perhaps having a business that’s a bit more mature and beyond that early kind of toddler stage before you plan to have another child might be a good thing to do. Adaobi:	So, I guess I’m talking if you’ve got the possibility, you do need to think, I think, more carefully, how you’re going to sort of integrate the two, and you do see it, and I think it can be difficult, because sometimes it means that you may have to step away from the business. Adaobi:	But interesting, I think, with the internet and social media and apps, I’ve seen some women who use their changing from a corporate life or even a small business in one format, and now they have children, shift very adaptively to create something quite different and be very successful at it and, I have to say, prop to them, because it’s really impressive to see. Adaobi:	And I do think that we’re in an ecosystem, I don’t know if that’s jargon, where you can actually do quite a lot on your own. No longer need the bricks and mortar, huge organisational structures to create a career for yourself. Kylie:	Absolutely. It’s often the leverage point for women going into business for themselves, because they can take the skills that they have learned elsewhere and apply them in a different way, in a different medium, and flexibly around what they need, so I often see that is absolutely the launchpad for people getting into their own business, is to create that much more flexibility that they need in order to be a parent. Kylie:	I’m curious about some of the interventions that you’ve used, and perhaps some of the stories of where you’ve seen that impact really realised in a really full way. So, where, because one of the things I often think about is often there seems to be a stigma around seeking psychological or psychiatric support, and a lot of people can wait often until it’s too late and you mentioned that often you will look at a lifestyle in terms of sleep and nutrition and exercise before you even get there. Have you got some case studies or some stories or examples of people that you’ve helped use those different modalities and seen thrive? Lucinda:	I would actually say that there is quite a large proportion of the women that I see who will have used a number of those, I guess, what’s seen as more basic lifestyle measures to assist them to feel better, before you get to the point of what might be seen as more traditional psychiatric or psychological interventions. Adaobi:	We obviously had on site yoga, we have mindfulness group coming forward, so we would then mention those two to clients for them to consider, and now, because there’s information around the clinic, they may walk into the consulting room holding a flyer, prepared to sort of start yoga or go to Pilates. Adaobi:	It’s also interesting, I think, that we sometimes see women who’ve come to the clinic for perhaps a bit more wellness, and then notice that there are other modalities available and will link themselves in, and I guess talking about people doing multiple things, one of the things I really love seeing is when we post something on Facebook, and it might be we’ve got an antenatal breastfeeding class coming up, and then we notice that people will tag their friends in their reply, so that their friend can see this event or this workshop that we’re providing. Adaobi:	So, it’s great to sort of see the community kind of linking in and seeing these things were available and might do something like, “Jane, this is so you!” And their friend kind of knows about it. So, I think it’s actually sort of really kind of well integrated, but I think it sort of almost feels like this is just what we do. Adaobi:	So, we don’t necessarily have to do anything different, and I think clients actually find, sometimes, that the entrance into looking after their mental health, it’s easier to sort of approach it from the wellness side initially, and then they may feel more comfortable to, perhaps say, “Look I need to see the psychologist or another clinician or practitioner. So, it’s much more, it’s quite diffuse and diverse, and comes in lots of different ways. Kylie:	Which is a great model, because it does make the introduction into those different modalities a warmer one, and one that’s seen as being an integrated approach rather than just thinking that there’s one silver bullet or there’s one solution, and that there are actually multiple things that people can access to thrive and to live well. Do you think that there’s particular cultural sensitivities around parenting that you see that people might not be aware of? Are there issues around different diverse cultural backgrounds that have an impact on how families navigate into parenthood? Adaobi:	I think that there certainly are cultural differences that are well understood. There’s the 40 day line within Chinese culture. There’s actually a similar period within my background culture, Igbo, where an older woman in the family, maybe your mother if they’re available or an aunt, or even an older sibling, will come and spend time with you after you’ve had a child, and that’s just sort of embedded in the culture, Ọmụgwọ it’s called. Adaobi:	I think with people living in different societies, migrants to new countries, they may not have that family circle around them, that family support that’s traditionally been available, and it becomes, from want of a better word, a bit more modern, Westernised, which is what we see out in Berwick way where land and home packages are cheaper out there, so people may move from suburbs that they grew up in with their own families, and so they lose those networks and those family connections for support. Adaobi:	And I think that support, if you look at the research, having the support for you, support of family, and then a supportive partner can be one of the risk factors or perinatal mental illness during the perinatal period. So, I think, from a cultural point of view, these structures are there for a reason, and they can get disrupted. Adaobi:	So, what I think is quite good about Glow is that we’ve tried, and we seem to be building, but there is a sense of community there, there is actually a sense of belonging. There is a sense of sort of connectedness, and hopefully that can provide more support, so it may not be directly support that we provide, but the links that we had within the community with other services that can be really supportive for these slightly separated families, whether it’s from the cultural perspective or whether it was really more of a geographical perspective within Melbourne. Kylie:	Creating that sense of belonging, as you said, and connectedness is so important for new parents and emerging families, young families, because we don’t get through this on our own. We’re not designed to. We were never meant to, so it’s fantastic to see the kind of model that you’ve built that encourages that in a range of ways. Kylie:	So, we’re coming towards the end of our chat. I would just like to invite you to consider what three things you might like our listeners to take away from our chat today. Lucinda:	It’s like the first question about the three things you believe in. It’s always hard to choose only a few. But I would say the first one is about being brave enough to do something new, and follow whatever that kind of passion or dream might be, so certainly, in our case, or in my case, it’s been about establishing Glow alongside Adaobi. Lucinda:	The second thing I’ll say is really, it’s a broad one, but probably the importance of looking after our mums and dads so that they can look after their babies, and you are seeing those layers needed to look after the baby. And the final one incorporates, I think, some of the things that Adaobi’s talked about around some mindfulness and meditation, and that would just be that focusing on your breath really does work. Kylie:	I mean, ever anybody says that I feel like taking a big breath in right now, I just, when you take even just one big deep breath, just the restorative effect that can have on you. Yes, I definitely want to take a big breath in and let it out, just even thinking about that. Adaobi, did you have some takeaways that you would like to leave with us? Adaobi:	I do. Sort of build on Lucy’s because I’d agree with those three, so I’ll choose three different ones. I think what I would probably say is, from a business perspective, I think it would be know your skill set and limitations and then seek advice or support for the areas that you don’t necessarily have the skill set. So, I think, professional advice, we have a professional business consultant who we meet with regularly and I think that has really been helpful for us in terms of our thinking around the business and where we’d like it to go. So, I definitely would advocate that from a business point of view. Adaobi:	I think, in terms of parents as we’ve talked a bit, this is going to be slightly different, and it is about connectedness, it is about shifting your focus when you become a parent. I would encourage every parent to take some time to simply watch their baby sleeping. Just sit and watch and see what comes up. Adaobi:	And I think that in those moments, you can often connect with some of your own vulnerability, but certainly start to think about the reasons that you became a parent, the hopes and wishes that you have as a parent, and the hopes and wishes that you have for your child. And by doing that, I think you can really focus what’s really important for me to do to achieve those goals. So, simply watch your baby sleep. It’s very powerful. Adaobi:	I guess the last thing I would probably say, and this is certainly back toward business. I think that, for me, in terms of business decisions, choosing a business partner or co-collaborator, Lucinda and I are partners, someone that you inherently respect what they do, you actually trust that person, and that you probably wouldn’t mind going for a drink with them, because you’re going to spend a lot of time with them, and so you really need to sort of think about that relationship before you launch into it. So, that would be my take home. Kylie:	Terrific. And people can find out more about what you do at glowclinic.com.au. Kylie:	Yeah, and you’ve also got a Facebook page. Adaobi:	Facebook page, a slightly less active Instagram page, and we both have our own personal LinkedIn pages as well (Adaobi here, Lucinda here). Kylie:	Fantastic. And I’ll link those all in the show notes. Now, we have our 10 by 10 to finish, so on the home stretch. Are you ready ladies? We have 10 questions. You’re both invited to give answers for each of the 10 questions. So, I’m going to start with the first one. Are we ready to go? Lucinda:	My ability to connect with others and make people feel understood. Adaobi:	My compassion for others and self. Lucinda:	Doing the worst thing first. Adaobi:	Unfinished Symphony by Massive Attack. Lucinda:	I like a quote from Maya Angelou about people will forget what you say and people will forget what you do, but they won’t forget how you made them feel. Lucinda:	You stole mine. A mind-body activity like mindfulness meditation or yoga. Adaobi:	Things Fall Apart by Chinua Achebe. Lucinda:	And Jasper Jones by Craig Silvey. Adaobi:	Know each other well. Lucinda:	Coexist and have learned to dance. Lucinda:	Getting physical exercise, especially walking or running on a cold morning. Lucinda:	Improving the health of the next generation and infants on a local level and also a community level. Kylie:	That’s fantastic ladies. Thank you so much for spending time with us this morning and giving us your insights and sharing your wisdom in the work that you do, and how you go about doing that. We will end it there, and I look forward to following you and seeing what happens with Glow Clinic in the future and ideally seeing the concept spread far and wide. I think it’s something that we definitely need more of. So, onward, thanks ladies. Adaobi:	Thank you very much Kylie. Thank you. Lucinda:	Thank you. Thank you, Kylie.